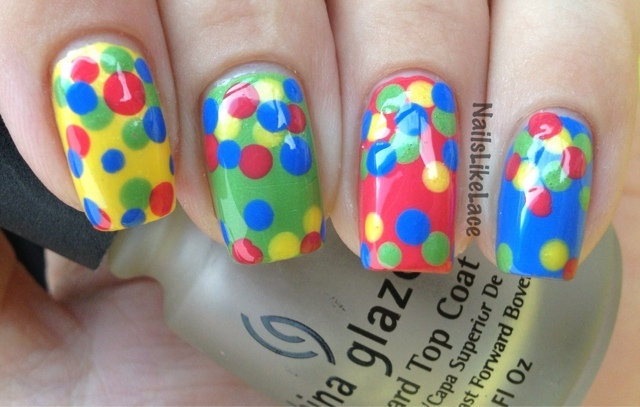 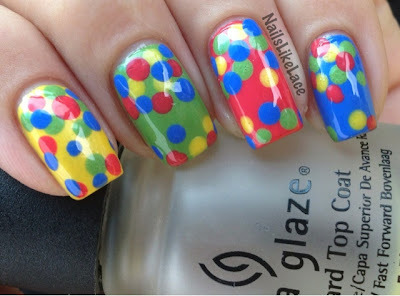 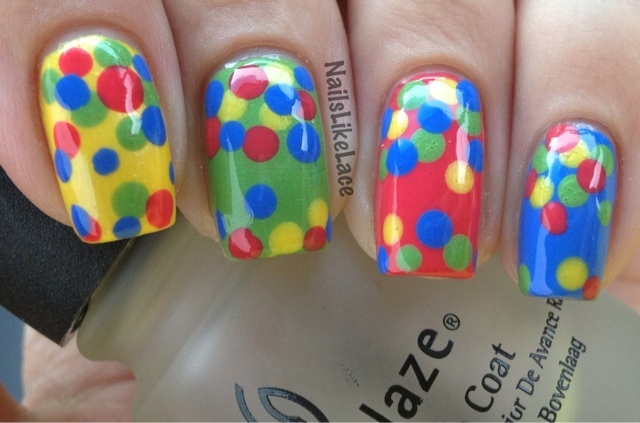 To kick off the official first day of spring, I have a bright, rainbow-ish (minus orange and purple) dotticure! 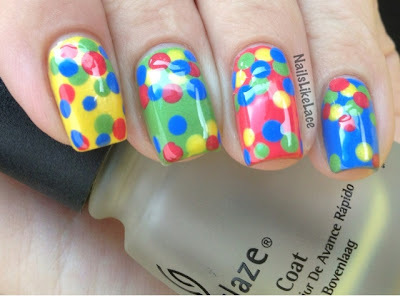 In my defense, it was nice and pretty, all smooth and even until I added Wet'n'Wild topcoat! I really have a love/hate relationship with that brand and their topcoat! I think it is actually just cheap topcoats I have issues with, though, because the NYC topcoat and I don't play well together, either!